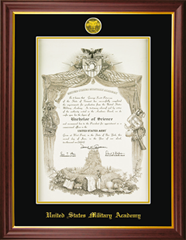 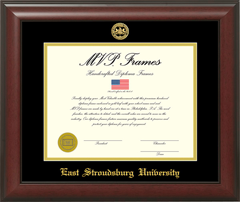 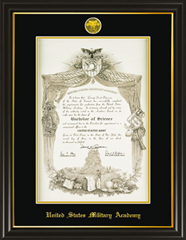 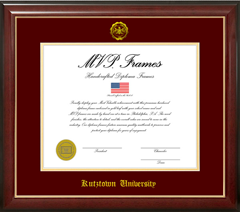 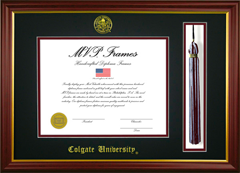 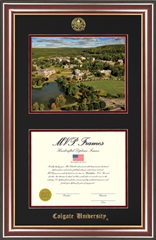 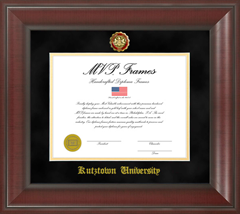 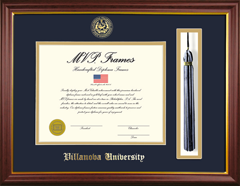 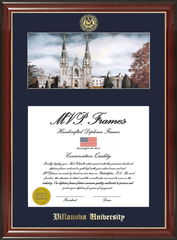 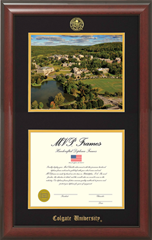 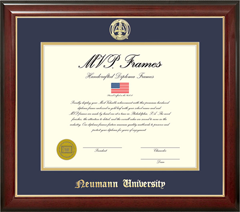 The following diploma frame examples show the actual frames sold into the college bookstores bearing their marks. 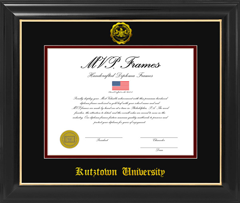 We custom make our frames in any size that the client requests. Please click on any one of these images to get a more detailed perspective on the design components. 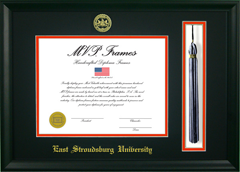 For more information on our products from our parent company, please visit Varsity Athletic Apparel. © 2009-2012 MVP Frames, Inc. All rights reserved MVP Frames is a Federally Registered Trademark of Varsity Athletic Apparel, Inc.